Wines of the Commonwealth – It's Wine By Me! 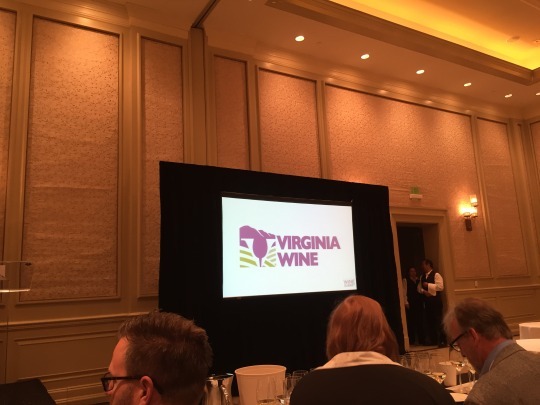 At last week’s Virginia Wine Summit, a well-rounded mix of sessions and people proved to be a wonderful introduction into this 40-year-old industry, that’s really only gained momentum in the past decade. It wasn’t just about the winemaker or the vineyards, the front of the house part of the industry was there, too. As I learned – great wine can only be good if there are wine drinkers willing to take a chance on a burgeoning region. A blind tasting comparing Virginia whites against their world counterparts. 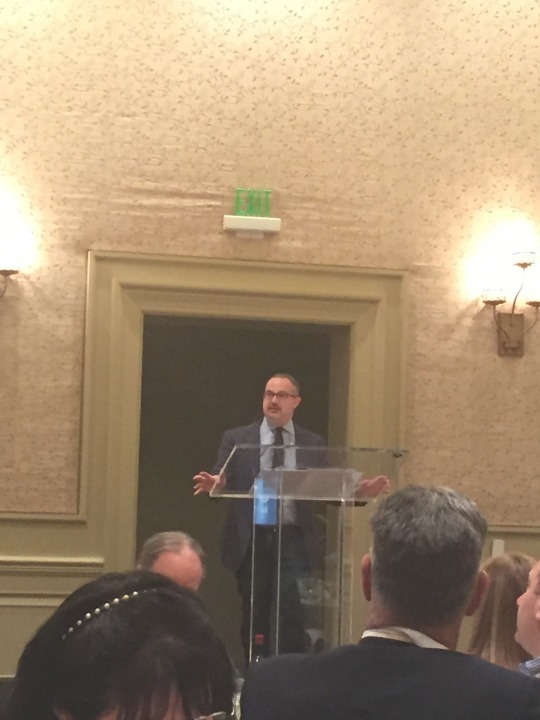 A keynote by wine writer Jon Bonné focused on Virginia’s place in the national wine stage. A tasting of six uncommon grapes produced in the Commonwealth, led by a panel of smart sommeliers. And the attendance of both the governor of Virginia and the state’s secretary of agriculture, who showed genuine support and commitment to the industry (a surprise to this cynical journalist!). The blind white wine tasting paired Virginia against other regions’ Vermentino, Sauvignon Blanc, Chardonnay, Viogner and Petit Manseng. Packing the morning panel with two somms, two wine writers and moderated by a respected wine educator, was a smart way to discuss the blind pairings. When you take away their daily tasks and titles, they all share the same quest to effectively communicate. It makes listening to how they describe what they’re tasting engaging. Here’s the thing about Virginia wine: I’ve done a tasting like this before with a group of friends, and pulling out the Virginia wine isn’t too difficult. My relatively-novice palate was able to do it again this time. It’s not that wines from around the world are better or more interesting than what Virginia can produce. Virginia produces wines unlike many traditional regions. But as Bonné rightly talked about later that day in his keynote, a lot of cellar work is still happening. So the Virginia wines can come across richer, or with riper fruit or with more oak influence. The counterparts – when tasted side-by-side – come across a bit more refined. As proof, look what happened with the Chardonnay comparison: Wine A screamed “I am that Chardonnay from the 1980s,” as Andy Myers, a master somm and wine director for José Andrés’ Thnk-Food Group, put it. In my notebook there’s also the notation: #alltheoak attributed to Bonné. Wine B had an elegance and was flush with acidity. When the wines were revealed the room was shocked to see Wine A belonged to Virginia’s Fox Meadow, while Wine B was California’s Chateau Montelena. I’m sure organizers paired these wines to trick us and have a little fun, and it spoke volumes. Since many of the winemakers were sitting in the audience, after each of the Virginia wines were revealed, they stood and up and answered a few questions by the panel. For a wine geek, it was fascinating! Jon Bonné addresses Virginia Wine Summit participants. Understanding how Virginia compares with the rest of the nation was an important part of Bonné’s keynote. True to his writings on the “new” California, he also stressed that more vineyard management and less cellar work is needed.Virginia, he said, should learn to better understand its terroir rather than rely on the winemaking process to cover up mistakes that might have resulted from challenging weather, pests and disease. 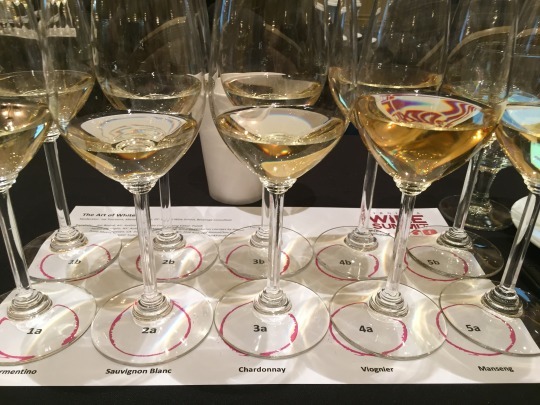 The breakout sessions I attended on wine pairings and uncommon grapes were a chance to taste more Virginia wines, but also hear from talented sommeliers and how they see the industry. Without a strong signature grape (although Viognier has been adopted as the “state grape”), the somms discussed the challenges of bringing new wines to their patrons and whether they could include these wines on their lists.